On most of our evenings, we’re super busy – so usually we don’t have the time to cook a real dinner. While a bread, sandwich or a simple “Caprese” with tomatoes and mozzarella are satisfying enough, sometimes we prefer something a bit fancier. That’s why we came up with a simple and quick but super yummy salad recipe that we now enjoy on a regular basis, meaning once a week – it’s really that good! 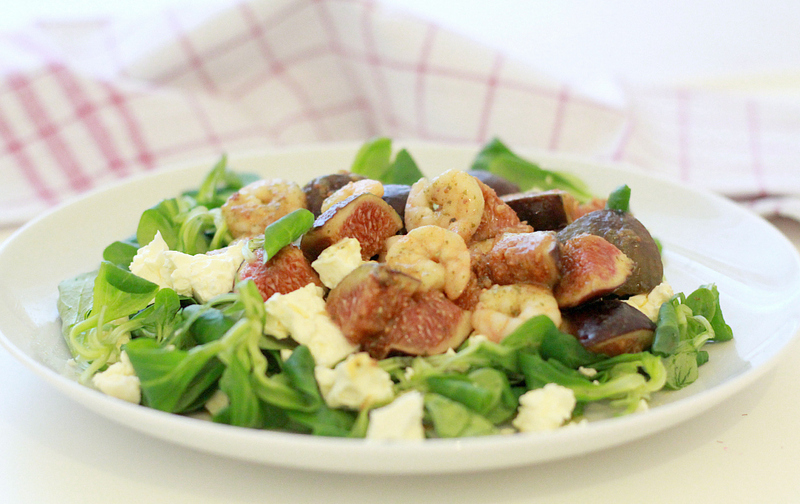 The tastes of shrimp, feta and figs blend in perfectly with each other – just add a mustard/honey dressing and there you have your delicious, easy dinner. Wash and rinse the salad properly. 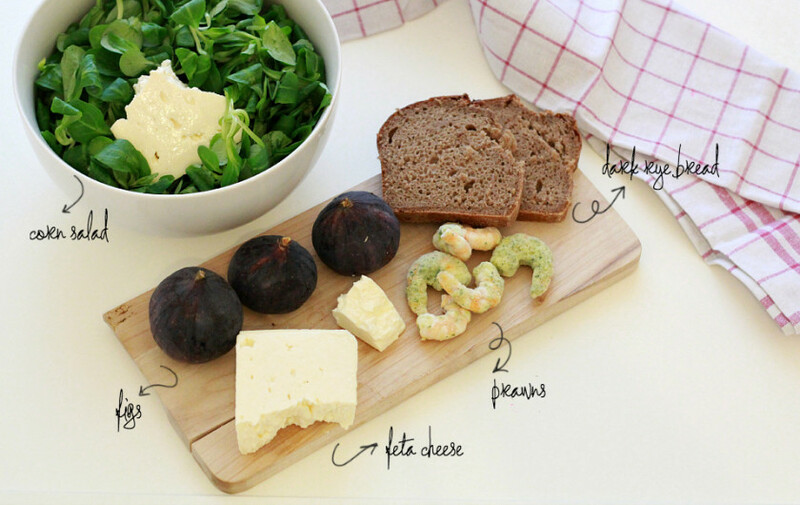 Cut the figs and crumb the feta cheese over the salad. In the meantime, roast the shrimps and whip up the dressing after your taste. When the prawns are almost ready, add the figs to the pan and roast everything together for a short amount of time. Serve and enjoy while still hot. Hmm, mit Prosciutto wäre das definitiv auch was für mich! Würdest du den einfach so in den Salat mit reinschmeißen oder auch etwas anbraten, Katerina?